In the US, before any drug is approved for distribution by the FDA, it must first go through rigorous clinical testing to ensure that it is safe and effective. If the FDA deems the drug fit for consumers, it is approved for intended use only. Physicians are still free to prescribe drugs for whatever they deem medically appropriate, even if the drug is not prescribed for its intended or approved use. This is called “off-label” use. Cytotec (also known as misoprostol) is a drug approved for gastric ulcer treatment. It is also very popular among obstetricians for the off-label use of labor induction. Cytotec ripens the cervix (thins it out or causes effacement) and promotes contractions. The problem with using Cytotec off-label for labor induction is that scientific evidence has shown there are serious, often fatal, risks associated with its use. Hyperstimulation. This is where the uterus produces severe, excessive contractions usually two minutes or less apart. These can cause serious fetal heart rate changes when the baby’s heart rate has lower or absent variability, has progressively worsening variable decelerations, or is non-reassuring (concerning). Hyperstimulation can also lead to uterine ruptures (partial or complete tears in the uterus) and deprive the baby of oxygen by compressing the umbilical cord. This usually requires a crash C-section to deliver the baby immediately to avoid hypoxic ischemic encephalopathy (birth asphyxia) and permanent brain damage. Amniotic fluid embolism. This is an obstetrical emergency where amniotic fluid enters the mother’s bloodstream causing a stroke or cardiorespiratory collapse. Meconium staining. Meconium is the first bowel movement of an infant consisting of what is ingested while in the uterus. It usually stays within the infant’s intestines until birth but sometimes (eg: with fetal distress) it is ejected into the amniotic fluid prior to birth or during labor. Respiratory problems can occur if the baby inhales the contaminated amniotic fluid. Jaundice. An infant’s immature liver is sometimes unable to effectively remove bilirubin and excrete it into the intestines as bile. As a result, bilirubin builds up and the infant’s skin and whites of the eyes become yellow (jaundiced). Increased hemorrhaging or blood loss. Increased risk of emergency C-section and assistive device deliveries (forceps or vacuum extractors). Dosage. Because Cytotec was never intended for labor induction, no dosing recommendations exist. The first doctors to administer the drug in the 1990s for labor induction used their patients as guinea pigs. Administration. Cytotec is only available in pill form. The pill is cut up in quarters; a quarter is typically administered vaginally every four hours. The pill dissolves immediately and is absorbed into the body. If the mother or baby has an adverse reaction, there is no way to quickly stop the medication and the birth injuries above may result. No informed consent. In most cases, pregnant women are not told in advance that their labor will be induced using Cytotec. Women are not afforded the opportunity to investigate the drug nor decline it. Safer alternatives. There are other labor-inducing drugs on the market like Pitocin and Cervidil. These drugs are administered using IV and removable vaginal insert. If a mother or baby has an adverse reaction to either of these drugs, they can be immediately removed. With this many risks and uncertainties associated with this drug, it’s hard to understand why doctors continue to use it for labor induction. Using an off-label drug violates the standard of care and puts the lives of pregnant women and their unborn children at risk unnecessarily. If you or someone you know is pregnant and will have a labor induction, do your homework and ask questions about the type of induction drug that you will be given. It is your right to know about the potential risks associated with any drug. It is also your right to refuse a medication. 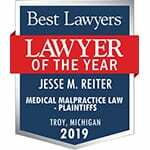 Call Reiter & Walsh ABC Law Centers if your child has been diagnosed with cerebral palsy, intellectual impairments or other permanent birth-related injury. Our specialized attorneys and renowned medical experts will review your case and determine if Cytotec caused the injury. E-mail or call us toll-free 888-419-2229 for a free consultation. Thank you for sharing your story, Desiree. We’re so glad to hear that you and your baby boy are healthy! Is there only repercussion if there was a birth injury? Is losing my uterus not important enough? Thank you for your comment, Rebekah. We are very sorry about your injury. If you believe that we can be of assistance with a potential medical malpractice case, please do not hesitate to contact us by phone at 888-419-2229. I was given three doses of cytotec followed by pitocin in march 2016, I hemorrhaged and was suspected to have an afe, which led to DIC. I was very lucky but spent 20 days in the hospital due to major blood loss. I really want to learn more about the connection to this drug and major birth complications. Dear anonymous: Thank you for leaving a comment at http://www.abclawcenters.com. We are a law firm handling birth trauma/medical malpractice cases in the United States. Regretfully, I believe we will be unable to assist you, as we are attorneys and not doctors, we are unable to provide medical advice. If you are seeking only medical advice, we will be closing your file with our office effective immediately. We advise you to please contact a licensed doctor immediately. Again, we regret that we cannot assist you at this time. We wish you the best of luck. If you believe that we can be of assistance with a potential medical malpractice case in the future, please do not hesitate to contact us by phone at 888-419-2229. 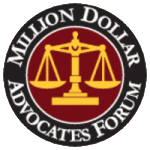 Please be aware that in any medical malpractice case there is a “statute of limitations.” That is a finite period of time under the law you have to pursue a legal matter. After that time expires, then you are forever barred from pursuing a claim regarding that matter. Based on the information provided we are not able to advise you as to when any statutes of limitation for your potential claims may expire. If you wish to have this matter reviewed by another attorney, we recommend you do so immediately. I was induced with the use of cytotec and pitocin in 1999. It was a traumatic labor and birth. We had an emergency c section. Shortly thereafter my son had a seizure and was life flighted to childrens. Diagnosis was a left frontal lobe stroke. He was in there for 14 days. He is 17 now. I know in my gut what happened to me and my son was wrong. I have consulted a few attorneys in the past, trying to explain to them the cytotec connection, however they did not feel it was a good case and chose not to pursue. I know what was done to my son was wrong and now he has to live with those consequences for the rest of his life which isnt right. I dont know if anything can be done, i just wanted to see your perspective on things. Thank you for your time in reading this. Thank you for sharing your story on http://www.abclawcenters.com. We’re so sorry to hear about your traumatic birth in 1999. A member from our team will reach out to you momentarily. Thank you for leaving a comment on abclawcenters.com. We’re sorry to hear about your baby’s low heart rate after Cytotec administration. A member from our team will reach out to you shortly. Please contact our office toll-free at (888) 812-6009 or if you have any other questions. I almost died from hemorrhaging due to taking Cytotec. On 11/17/16..to induce my labor. I had to have a hysterectomy. I will forever be traumatized by this. We’re so sorry to hear about your traumatic birthing experience. A member from our team will reach out to you shortly.